We're not letting the big dogs have all the fun. 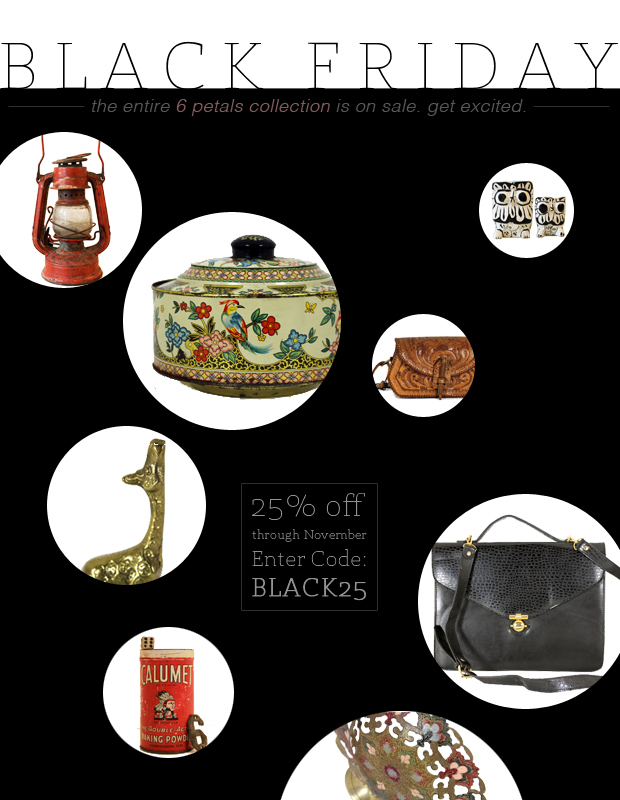 6 petals is having it's own BLACK FRIDAY sale...and you don't even have to wake up at 4:00am. What's better, you can get this deal through the end of the month. I've made the pledge to shop vintage + handmade for Christmas this year. Shop your heart out + just enter coupon code: BLACK25 at checkout! thank you for stopping by my blog and leaving such a kind comment AND for following me! your etsy shop has some some darling things! keep it up!